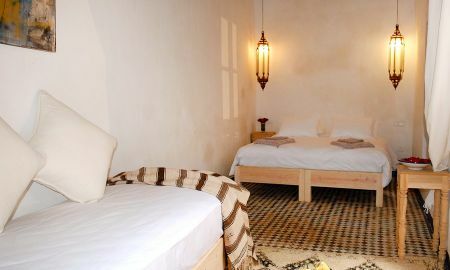 Dar Bensouda is an authentic old palace in Fez, transformed into a charming guesthouse. 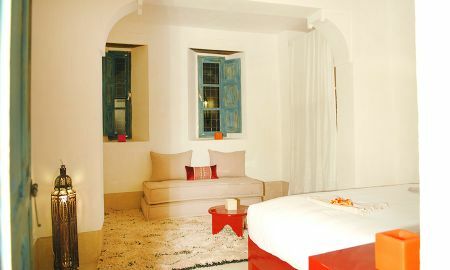 Here you'll find exquisite traditional architecture harmoniously combined with all the comforts of modern accommodation. 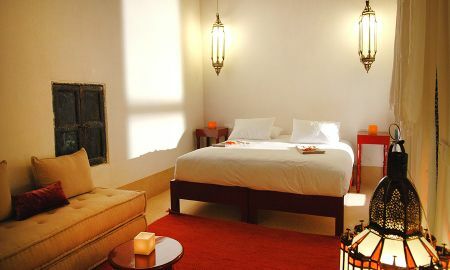 Dar Bensouda has two beautiful courtyards : the fountain courtyard around which eleven luxurious rooms and suites are arranged; and the swimming pool patio with a leafy garden. 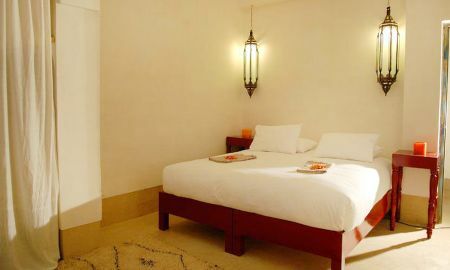 Each room is individually decorated, air-conditioned, and has an ensuite bathroom with shower. The suites have a bathtub and a relaxing sitting room. The large roof-terrace of Dar Bensouda has sweeping views over the medina and offers you various relaxation areas such as the traditional Moroccan tent and an upper terrace with a panoramic view of the Atlas Mountains. In keeping with the ancient Moroccan tradition of the steam bath, the Riad boasts a superb hammam offering beauty treatments and massages. Moroccan cuisine is one of the most refined in the world. The colorful presentation of well-prepared national delicacies makes dining a pleasure for gourmands! Moroccans generally spend a lot of time at the table preferring not to rush their meals but to take their time and appreciate the dishes. In the old medina of Fez, just 20 minutes from the Batha square and 15 minutes of Rssif place before the Zaouia Taoudi Bensouda.